Delivered Tulsa 12/11/42; West Palm Beach 12/12/42; Assigned 401BS/91BG [LL-J] Bassingbourn 8/1/43; Missing in Action 10m Bremen 17/4/43 with Nathan Lindsey, Co-pilot: George Slivkoff, Flight engineer/top turret gunner: Seb Scavello, Radio Operator: Larry Brandenburg, Ball turret gunner: Joe Rekas, Waist gunner: Vic Hamrick, Waist gunner: Alvin Schipping,Tail gunner: Anthony Roy (8 Killed in Action); Navigator: Rocco Maiorca, Bombardier: Albert Dobsa (2 Prisoner of War); enemy aircraft, ditched North Sea, 11 miles NW of Isle of Norderney, Ger. /15807. SHORT SNORTER III. I am looking for years of the picture from this air craft how sure are you this is is the picture of Short Shnorter III. I am asking behalf the families from all crew members I am doing research and it seems no one has a picture op this plain. Do you agree and comfirm? Thanks for the links and you quick answer, still you have to convince me, what makes you sure this is the aircraft I am looking for mark points. Don’t want to be in great full waiting for your response. 1. The Memphis Belle movie was filmed in early to summer 1943. 2. B-17 #42-5337 was in same bomb group like the Memphis Belle – 91st BG. 3. 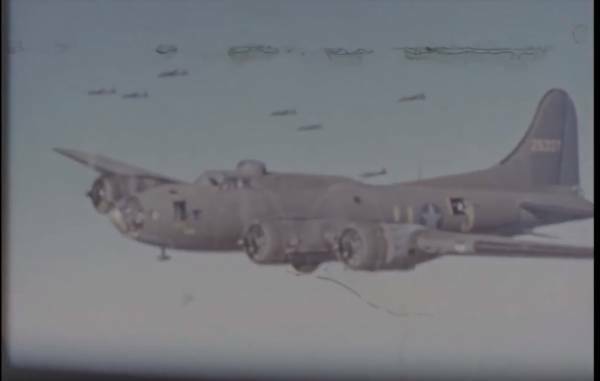 B-17 #42-5337 was in 401st BS of the 91st BG. Code was LL-J. You can see in the raw footage and on the photo the yellow J and two bars of the yellow „LL“ on fuselage. 42-5222: Never left the USA.